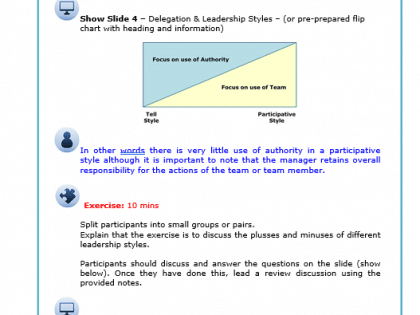 Delegation is much more than telling others what to do. It is about using a particular style of leadership that empowers others to take responsibility and make decisions. It develops their skills and knowledge and makes full use of their potential. 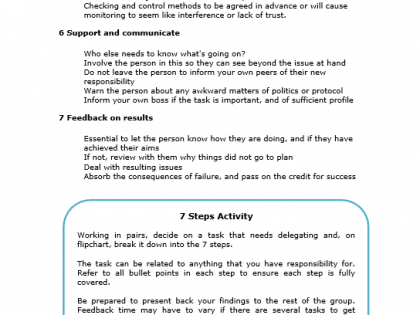 Delegation is about entrusting others with your authority and whilst you retain overall responsibility if something goes wrong, they are entrusted and encouraged to make decisions. 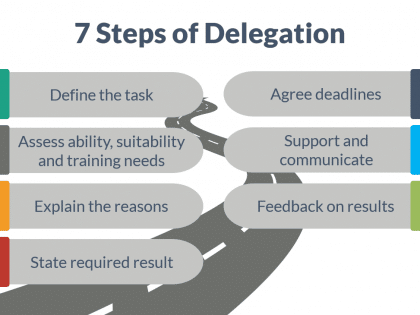 Delegating is a key skill we should all develop. Good delegation saves you time, develops your people, grooms a successor, and motivates. 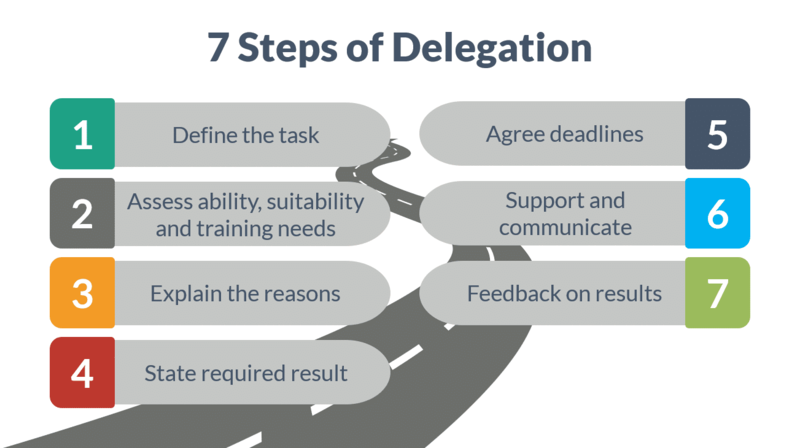 Delegation is a very helpful aid for succession planning, personal development – and seeking and encouraging others to take on higher responsibilities. 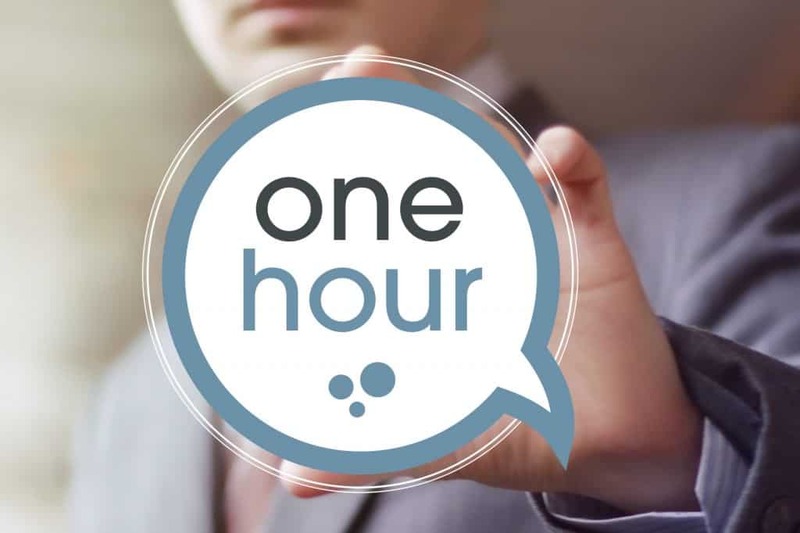 Delegation can be used to develop your people and yourself – delegation is not just a management technique for freeing up the boss’s time. 3. Establish what shouldn’t be delegated. 4. 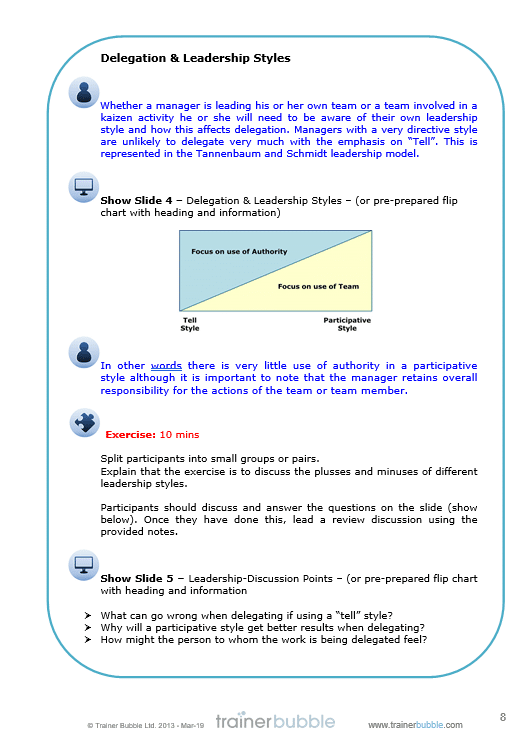 Delegation & Leadership Styles – Identifying how different leadership styles affect your delegation approach and how best to adapt your style to ensure positive delegation techniques. 5. 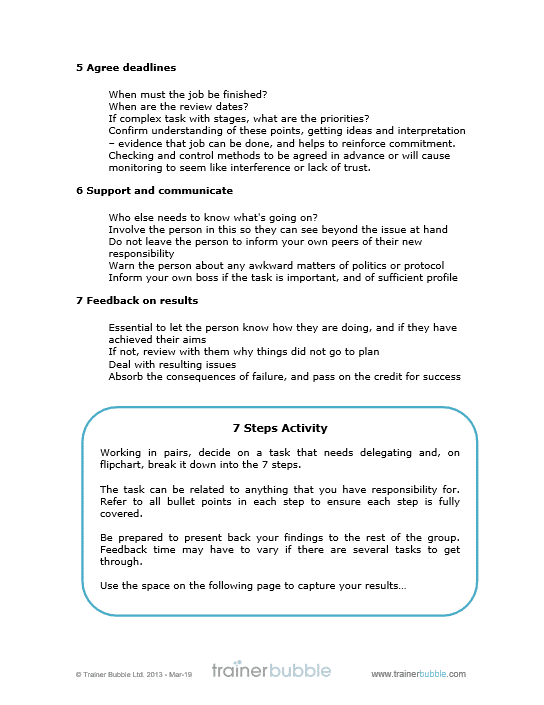 Practice session using previously discussed techniques and methodologies based on the 7 step delegation model.